Hallmark VIDA cards are designed for consumers from the broad range of Hispanic cultures represented in the US, Mexico, Puerto Rico and Latin America. The size of the US Hispanic population is estimated at 50.5 million, making up 16 percent of the US total (Source: US Census Bureau, 2010). Hallmark began offering Spanish-language cards in the mid 1980s and introduced the Hallmark VIDA brand in 2016. Hallmark began offering Spanish-language cards in the mid-1980s, and in 1991 introduced a greeting card line called Primor. To better reflect the specific needs of Latino consumers, in 1999 Hallmark launched a new brand of culturally relevant greeting cards called Hallmark en Español. In 2003, Hallmark enhanced its commitment to the Hispanic market by expanding and renaming the Spanish-language card line, relaunching it as Hallmark Sinceramente. To help meet the ever-evolving needs of Hispanic consumers, Hallmark transitioned its existing Spanish-language greetings line to a new lifestyle brand called Hallmark VIDA. To help meet the ever-evolving needs of Hispanic consumers, Hallmark is transitioning its existing Spanish-language greetings line to a new lifestyle brand called Hallmark VIDA. 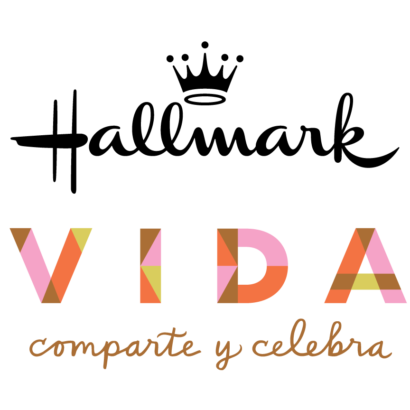 VIDA, which translates to ‘life’ will include products and services that help people celebrate occasions both big and small, connect with friends and family and help cultivate traditions that are uniquely Hispanic. VIDA will address the needs of Spanish-speaking, bilingual and primarily English-speaking Hispanics in the United States by offering products in both Spanish and English. The available products will include greeting cards, ornaments, home décor and gifts and gift presentation items for both everyday occasions as well as key seasons like Valentine’s Day, Mother’s Day, and Christmas. Recognizing the importance and symbolism of mothers and grandmothers in the Hispanic culture, Hallmark Vida products will be available in time for Mother’s Day. VIDA will be found wherever Hallmark products are sold including Hallmark Gold Crown stores, mass-channel retailers such as Walmart, Walgreens and CVS and online at HallmarkVida.com. Additionally the Hallmark VIDA brand name has been registered around the world, including in the 17 Spanish-speaking countries that Hallmark already does business in, building the foundation for future opportunities.